The Samsung Galaxy S10 series is right around the corner but a recent leak shows the whole lineup’s specs ahead of its launch. 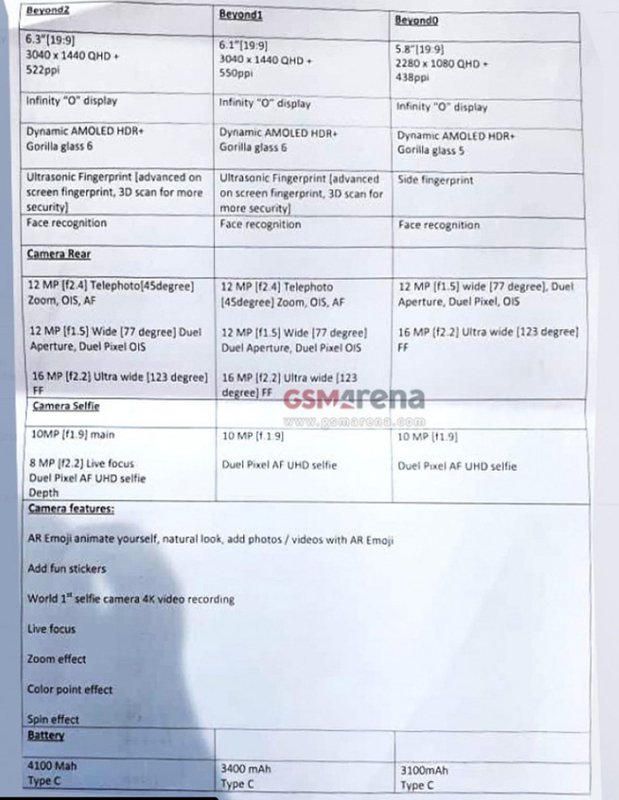 Reports show that the Galaxy S10 and S10+ will be sporting a 19:9 QHD+ Dynamic AMOLED HDR+ display with 3040x 1440px, Gorilla Glass 6, Ultrasonic Fingerprint scanner, 12MP f/2.4 telephoto 45-degree zoom + 12MP f/1.5 wide (77-degree) dual aperture dual pixel OIS, 16MP f/2.2 ultra-wide (123-degree) triple rear cameras, 10MP f/1.9 + 8MP f/2.2 live focus (for S10+ only) front cameras, 4,100mAh (S10+), 3,400mAh (S10) battery, and wireless power share fast wireless charging. The S10E, on the other hand, comes with a 5.8-inch 19:9 Dynamic AMOLED display with 2280 x 1080px, gorilla glass 5, side-mounted fingerprint scanner, 12MP f/1.5 wide (77-degree) dual aperture dual pixel + 16MP f/2.2 ultra-wide (123-degree) dual rear cameras, 10MP f/1.9 front camera, 3,100mAh battery, and wireless power share fast wireless charging 2.0. 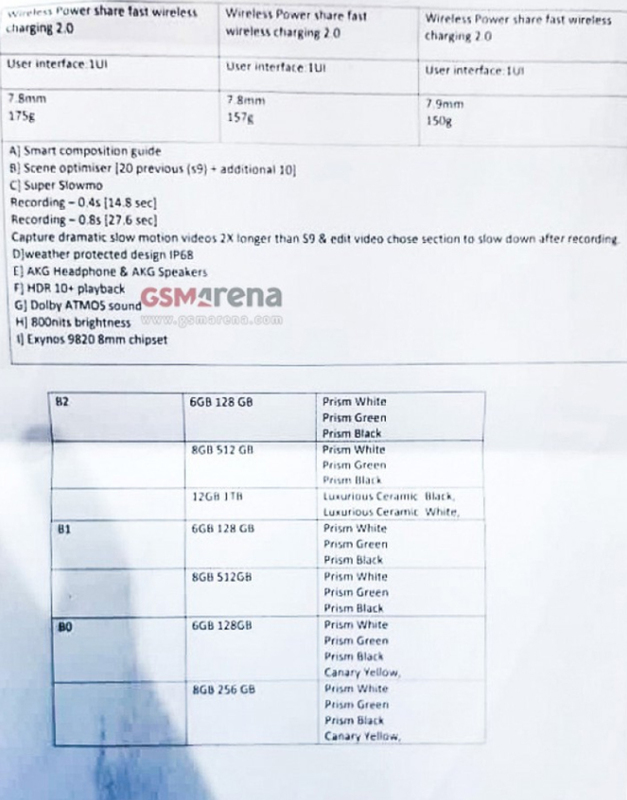 The specs sheet isn’t complete yet as the series’ chipset is not included in the leak. We’ll know more once the Samsung Galaxy S10 family launches on February 20, 2019. 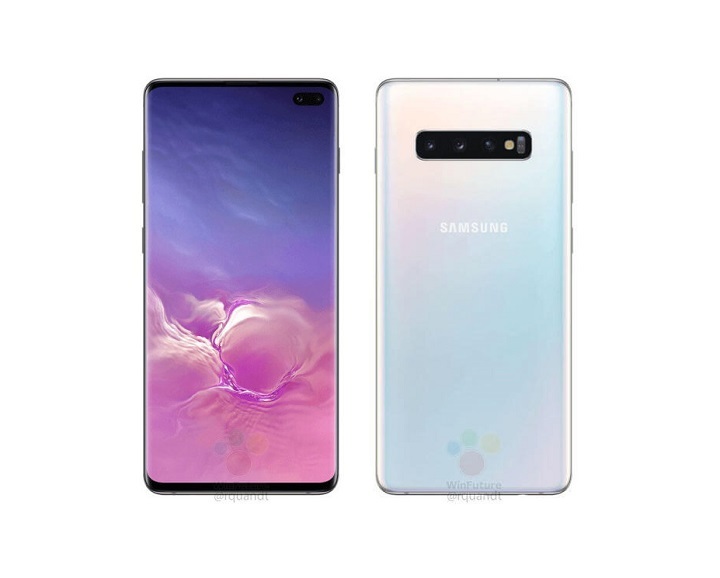 The post Samsung Galaxy S10 series specs leak ahead of launch appeared first on YugaTech | Philippines Tech News & Reviews.